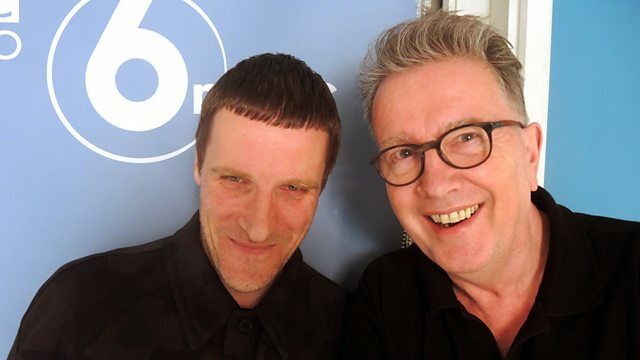 Tom presents his unique mix of music including BBC Introducing tracks, plus he is joined by Jason from Sleaford Mods, who curates the After-Hour, the final hour of the show. Jason from Sleaford Mods joins Tom and curates The After Hour, the final hour of the show. Jason Williamson started Sleaford Mods in Nottingham in 2007 and released 4 albums before being joined by Andrew Fearn in 2012. Williamson continues to write the lyrics and Fearn writes the music. Their music is described as embittered rants and social commentary. They've released 3 albums as a duo, and last month released the Tiswas EP.